As a girl, Alicia Vrajlal loved watching TV soap operas, but as an Australian of Fijian/Indian heritage she longed to see someone like herself on the screen instead of only people of European descent. Secretly, she also hoped she’d work in the entertainment industry one day. Because she excelled at maths at high school, she enrolled in UTS’ Bachelor of Accounting. She received an industry-sponsored Cooperative Scholarship which included two six-month internships. During her first internship for a global accounting firm, Alicia realised that she hadn’t chosen the right career: “It just wasn’t the sort of place I could see myself wanting to come to every day,” she says. For her next internship, Alicia went to the finance department at Yahoo7, figuring if she couldn’t work in the entertainment industry, she could at least get a glimpse of what the sector was like. While she was studying, she’d started a blog called “I Am Star struck” and worked as a volunteer for magazines Cleo, Cosmopolitan and Mamamia. She then enrolled in a Master of Journalism at UTS. After graduation, she got a trial role with the Daily Mail and was soon promoted to entertainment reporter. Her next position was as Deputy Editor for Yahoo7’s entertainment and lifestyle section, Be. 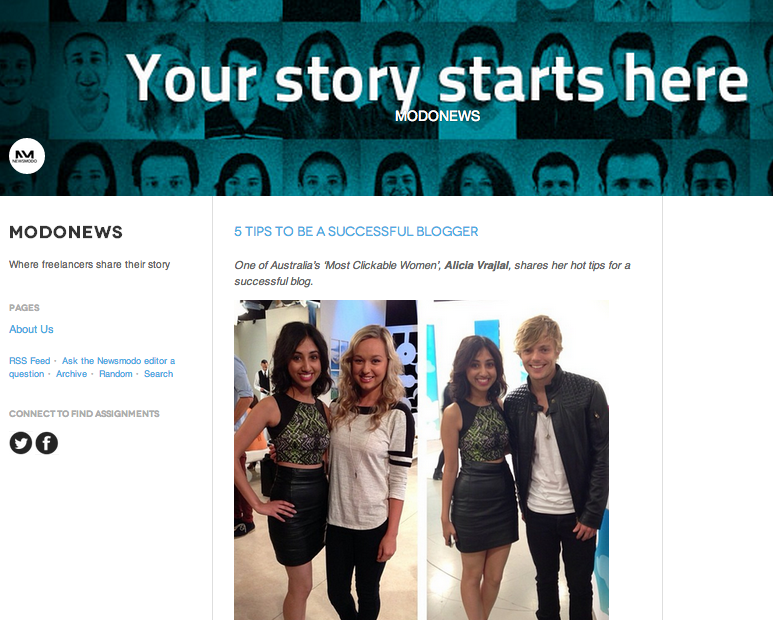 Her advice to other students interested in careers in the entertainment industry is to start a blog. “You can write about exactly what you want. You have that creative and editorial control. It shows employers you’ve taken initiative and you’ve thought about it, and that you’re serious about this,” she says. She also advises taking as many internships as possible and leveraging anything you publish through Twitter. “I was tweeting my articles and then celebrities were enjoying the publicity and retweeting them, and then publicists were picking up and inviting me to events,” she says. 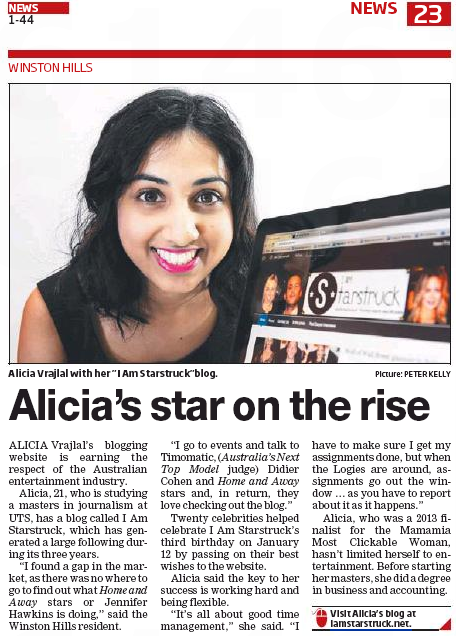 Alicia hopes in time to move into an editor’s position and create more content promoting multiculturalism and diversity in the industry. “I want to break down the industry barriers,” she says.